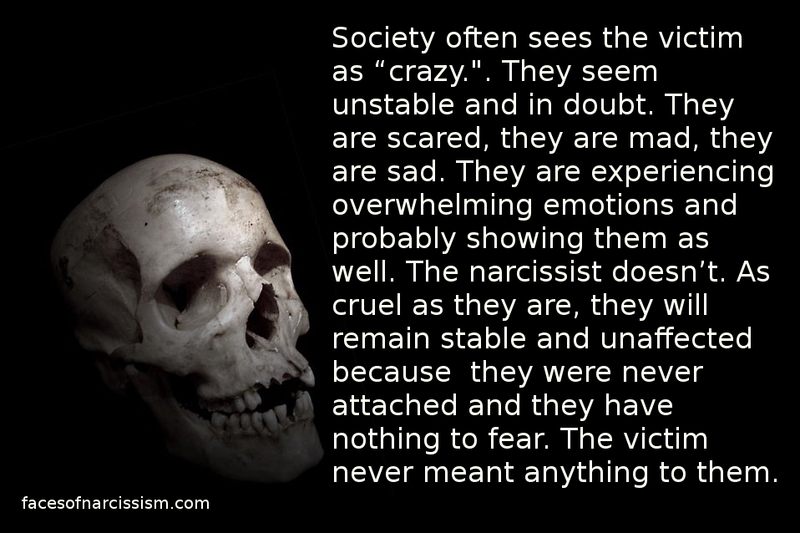 As so many of us have learned, recovering from narcissistic abuse is not easy. It’s not a perfect path, either. There are ups and downs. There are breakthroughs and setbacks. It takes years. Sometimes you can feel great for a while, then BOOM! the narcissist notices and makes sure to restart the harassment and smear campaign. And don’t doubt that. If the narcissist notices you aren’t suffering anymore, they will come back to make sure you are. They want to be at the top of your mind no matter how negative it is. I have endured an especially vicious smear campaign. My sociopath ex is a smart guy with a huge social group and audience. He is relentless. He travels all over the country to smear me. After four years, he is still trying to turn my friends against me. He has used the internet to get his flying monkeys to attack me viciously. He has tried hard to destroy my reputation and sanity. He has spread lies, pretended to be a victim, and encouraged Facebook attacks that have topped 1,000 posts. As is normal with narcissists, he didn’t pay any child support, which was also a form of financial abuse that left me struggling to do it all. During that time, he often refused to visit his child, but told everyone I was refusing, and encouraged people–especially hateful women–to attack me. I withdrew from my entire social life and cut my friends down to a bare minimum. I lived paycheck to paycheck and sometimes counted change to get my kids milk for the week. One day this spring, I came home from another long day at work, worked even more online, and then stayed up even later to clean the house and do laundry–because both kids got sick–and barely stayed awake to do it all. Two of my major appliances had died close together, and I had a pipe burst. So many bad things in a row. Such much financial struggle. So many attacks. So much exhaustion. It was all on ME to do everything and support everyone while my ex traveled around the country avoiding child support and trashing me. I turned on my computer and logged on to Facebook only to see yet another round of cyber bullying. You know, the kind of sick bullying that has been leading teenagers to kill themselves? More of that. On top of everything else I was juggling. I broke down hysterically crying for hours. I broke. My mind broke. My body broke. My heart broke. Everything about me was exhausted after years of struggling so hard. First growing up with sick parents, then marrying abusers in an attempt to escape. Then finally escaping and doing it all on my own with absolutely no support. It’s a wonder I didn’t break sooner. I checked myself into the hospital where the first nurse I met said the same thing. I asked for treatment for the depression that had left my life dark since the abuse began. The first day there, I agreed to take an anti-depressant for the first time in my life. I admitted that the struggle was too much. I sat exhausted in a place where I didn’t have to work work work. I didn’t have to clean and cook. I could just work on feeling better. I self-cared for myself more than I had in years. I read books, I rested. I went to therapy. I took long, hot showers. I sat and thought. I practiced living and caring for myself again. A few days later, I left still scared about how I was going to continue on, but it has led me to the absolute best time of my life. I am completely serious. I broke. And that is what it took to fully snap out of the trauma that was holding me down. I had made steps prior to that, but I’d plateau for a while. The cyber bullying never stopped. I was stronger, but not yet to the point where the greatest change could come. Breaking woke me up to take steps to improve life. I have since made fantastic new friends who are such a great fit for me. I have started laughing and smiling again. I have a great boyfriend who doesn’t scream or call me names! I have started an exercise routine and have a lot of fun with it. I get out of my house. I have joined a church. I have slowly become filled with joy since I finally admitted I couldn’t do it the old way anymore. I am not ashamed. I went through so much more than people are made to endure. If you are struggling to recover, keep going. Maybe you haven’t yet hit the crisis point that it takes to completely turn things around. I’d get half way there, but not all the way. Like so many cliches say, sometimes you have to hit rock bottom to move up. For me it has been true. I feel hope and peace for the first time ever. I have finally found my place, and it is worth it! I think I had to get desperate enough to make a very major fix in my life. Thank you for sharing this, and thank you for being so strong and helping so many people with your great blog. I appreciate you very much. Best wishes.